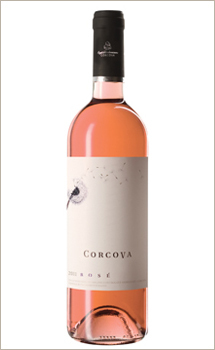 This summer brought to Romania a highly appreciated wine in the Western countries, especially in France: Rose Magnum. Cheers and have a good meal! Syrah, Shiraz, Sirac, Schiras or Marsanne Noir... many names for describing one of the best grape variety for the making of red wine. A variety born in France, on the Rhone Valley, but which was made famous in Australia, where it was planted and cultivated intensively. The Syrah was the seventh grape variety cultivated in the last years in the world, being used as sole variety for strong red wines, but also mixed with other varieties. 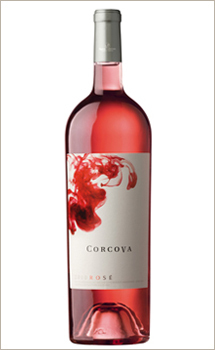 When mixed, its big number of tannins give it the power to influence the perfumed, full-bodied wines. 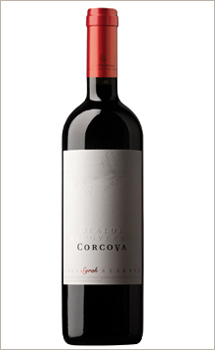 It has an intense and rich texture, with deep violet and black nuances. Its taste goes more to the spice direction than to the fruits. A few Syrah bottles will grow the value of any wine collection. With this delicious wine, heavy and full-bodied, which ages very well, you will never fail... Alongside Pinot Noir, Cabernet Sauvignon, Chardonnay, Sauvignon Blanc and Merlot, the Syrah belongs to the main six grape varieties which are successful worldwide. More and more popular everywhere in the world, in South Africa and Australia (the number one producer worldwide) this wine is called Shiraz, and in other countries Hermitage or Marsanne Noir. The discussions and comments of the last days oblige us to bring some explanations regarding the correct price of the wines in the press house, at the distributors and at the retailers. We were surprised by the article of Mr Ceafalau, The wine producers "faults" their distributors, published on the 16th of August, 2011, by Vinul.ro - that's why, for a better understanding of the public about what is a correct price, we consider that some clarifications are needed. Syrah, the delicious wine known also as Shiraz, is obtained from a grape variety which comes from France. We found Syrah vineyards everywhere in the world, from Chile, Argentina of South Africa to USA of Australia, the country which made this wine so popular. 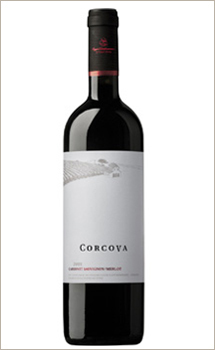 Few years ago some Syrah vineyards appeared also in our country, in Corcova. The wine is considered dry when it has no sweetness. And the lack of the sweet taste could be determined by the lack of sugar, by the presence of other tastes, flavored, which mask the sweet taste, of by the lack of the simple carbohydrates, which could be transformed in sugar by the enzymes present in our mouth. In fact, any alcoholic beverage is in the same situation, because the term dry (sec, in Romanian) is applied also to the beer, to the spirits and to all alcoholized beverages. Many wine lovers, when they have to name the best red wine in the world, think to the Cabernet Sauvignon or to a mixture based on it. Even if in other parts of the world this wine has different names, like Sauvignon Rouge, Petit Cabernet or Vidure, it is about the same unique taste of the worldwide number one red wine. Its taste, rich in flavors, and its complexity created its fame and popularity. 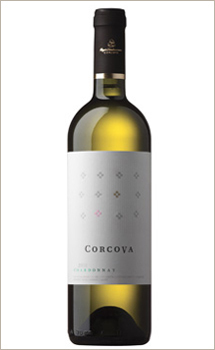 During the last weekend, we had the pleasure to tell the story of the Corcova wines in Iasi, in a region with a century-old tradition in viticulture. 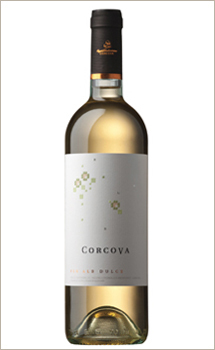 The joy is even greater thanks to the fact that the Corcova wines could be consider an ambassador of other important wine region of our country, the Mehedinti area. The tasting event took place in the refined ambiance of the Ralet restaurant, on musical notes which remembered the class of the epoch when Marcel Proust was conquered by the valuable wines of Prince Bibescu. Chardonnay, Rose, Cabernet Sauvignon-Merlot and Syrah wines were tasted on this occasion. A very popular wine, thanks to its distinct and fine taste, hard to define, but easy to recognize. The village of Chardonnay from the France region of Bourgogne gave the name to this variety of white grapes. But this variety is nowadays cultivated worldwide, being the second most spread variety in the world, because it is easy to cultivate, being very adaptable to different climates and soils.